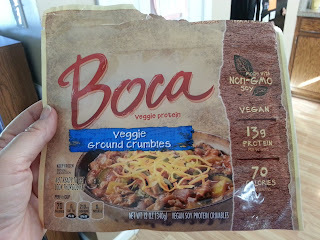 One of the things we love about our vegan adventure is the chance to try new foods and think outside the box when it comes to meals. Recently, as I was headed out the door to work, Joy asked me what my thoughts were for dinner. I replied, "I don't know." 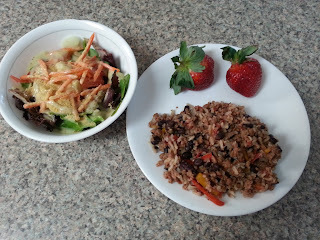 But before I completed the short drive to the office I already had a plan working and by the end of the day we had created our first vegan recipe! 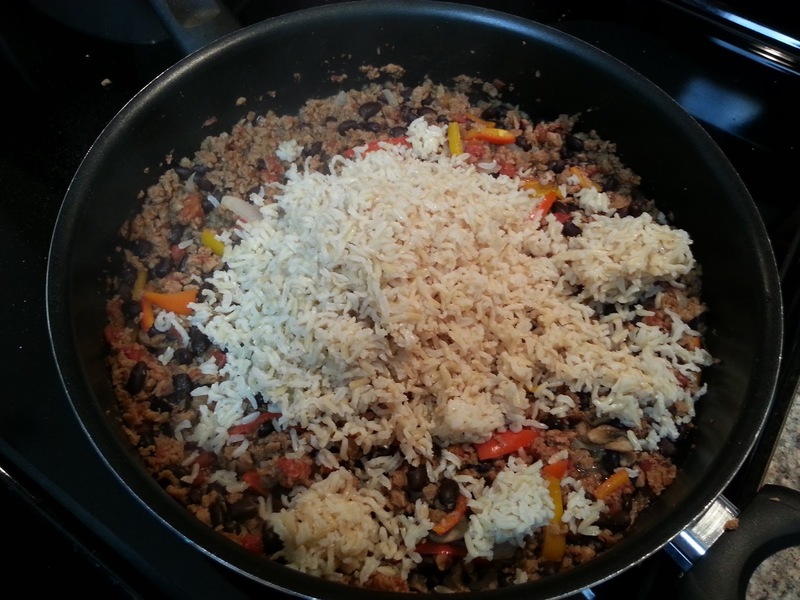 Remembering that we had some leftover basmati rice from the night before, I began concocting a recipe that turned out to be a hit, not only with Joy but also with my skeptical husband. It's a simple, one-skillet meal that we are calling "Twice as Nice Rice." It's easy, economical, hearty, and flavorful! 1. 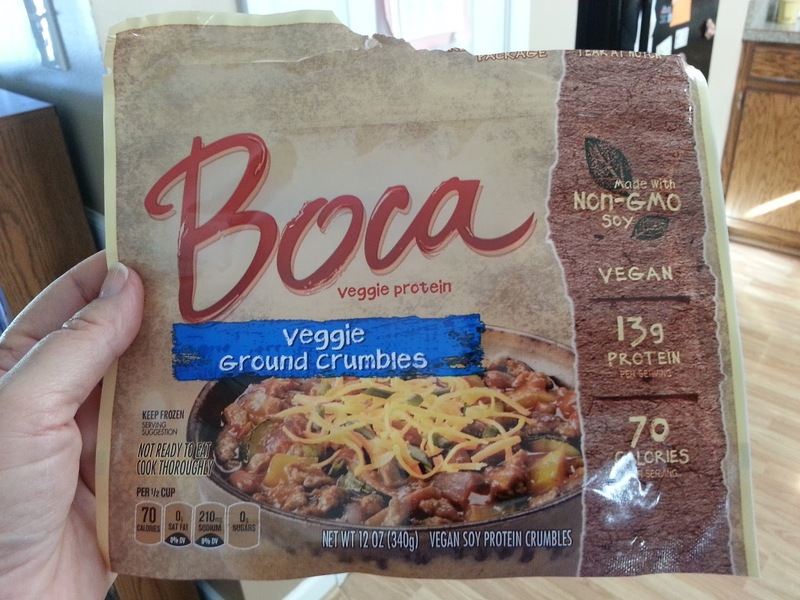 In large non-stick skillet, prepare Boca Veggie Ground Crumbles as directed on package. 2. 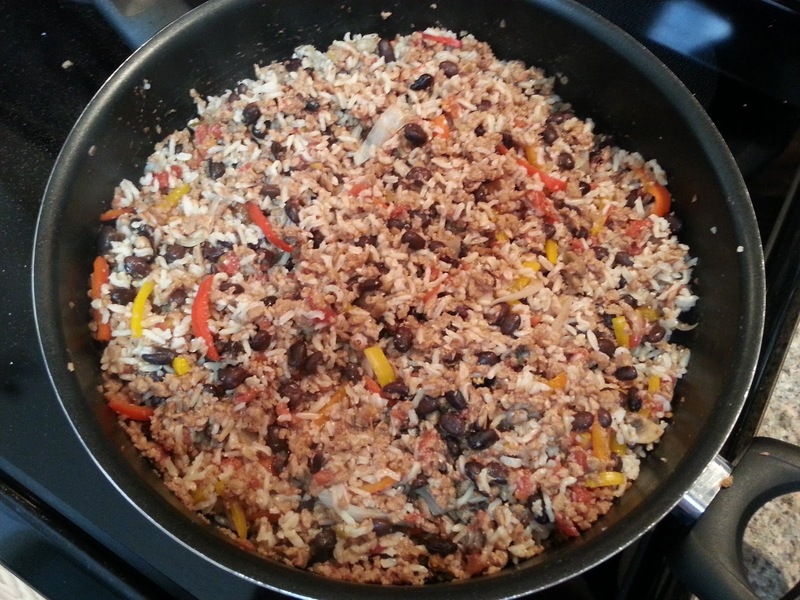 Add black beans, rotel tomatoes, sliced mushrooms, sliced onions, reduce heat and simmer until onions, peppers, and mushrooms are tender. 3. Stir in cooked rice and season to taste using salt, pepper, garlic powder, cumin or other spices of your choice, to taste. 4. If needed to prevent sticking, or if you like a little liquid in a dish like this, add some water while cooking. SERVE with a garden salad or fresh fruit and enjoy! Leftovers heat up beautifully! Of course, you can customize a dish like this easily. All you need to do is "think outside the box" to create a little magic with your leftovers!